Can an attached car port be converted to a screened porch? That is a great question asked by Gail. 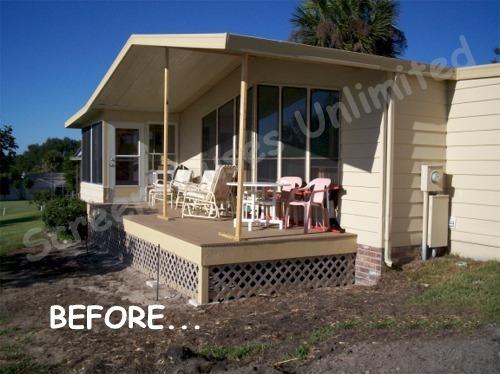 She does not use her carport to park a car so the space is available to her to create a comfortable screen porch. If Gail is like most of us, she would enjoy her screened porch immensely. The two of us certainly did in our home when we lived in Omaha. Gail's question: Can an attached car port be converted to a screened porch? The car port is oblong and has a side door leading to the house. I am handicapped and don't drive so it is wasted space. I have been grappling with this issue for months. ANSWER: Gail, so glad you visited our site and contacted us for assistance. Short answer is yes. It definitely can become a screen porch! Assuming that your roof, existing columns, and floor are all in good repair, the screening part should not be any issue. This should make a really nice area for you and here are a few options. This is the before photo of a deck that could be converted to a screened porch with screen walls only - as the roof is already there. 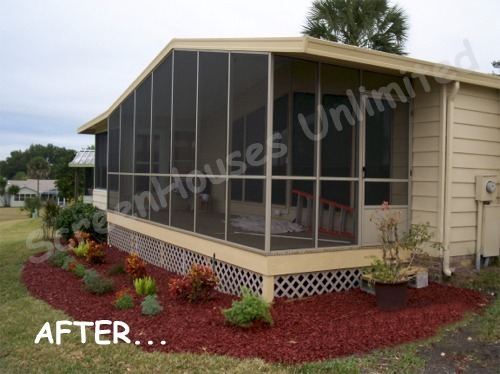 There are several products on the market that can turn almost any area like yours into a screened porch. Take a look at this DIY screen porch kit information where there's a form to get more information. You would have to order the kit and then either install the screens yourself or hire a contractor or handyman to install them for you. The screen panels will fit between your existing car port columns. Can usually be done in less than a day. This photo shows how a three-season room might look from the inside. We think you'll really like this option also. Consider turning your space into a three season room. This is also easy and would allow you to enjoy your porch for more months of the year - since you can close the windows when it gets cool out. 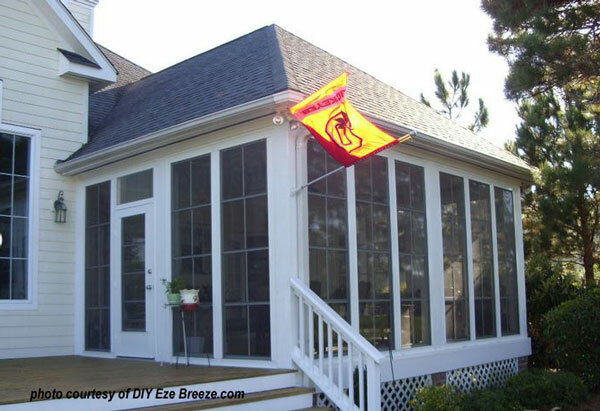 DIY Eze Breeze is one of our fine sponsors and we are happy to refer you to their screen porch windows. This can be done as a do-it-yourself project or you can hire a contractor to install them. There's a link on that page to the distributor also. Another option is to have a local contractor build and install screen panels that fit between your existing columns. Along with your screens or screen/windows options, also consider your flooring. We recommend you investigate interlocking deck tiles. This is a really easy way to convert a concrete floor (assuming your carport is concrete) to a very durable and beautiful floor. Let us know if we can be of further assistance and please take some before and after photos if you convert your carport. 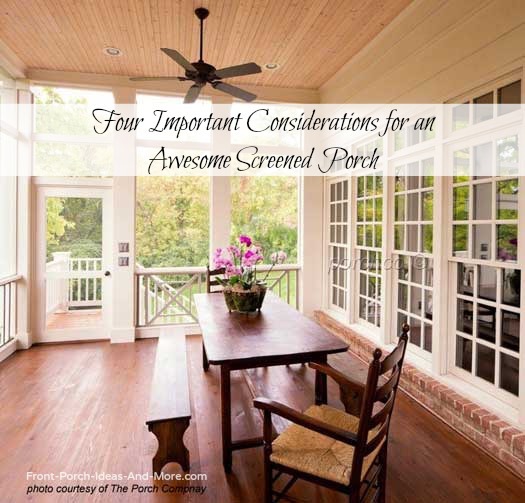 We know you'll love a screened porch again. So can an attached car port be converted to a screened porch? We say yes and there's more than one way. Nancy Moore, the founder of The Porch Company in Nashville, designs and builds beautiful custom porches. She shares some important factors to consider before you begin building your porch.